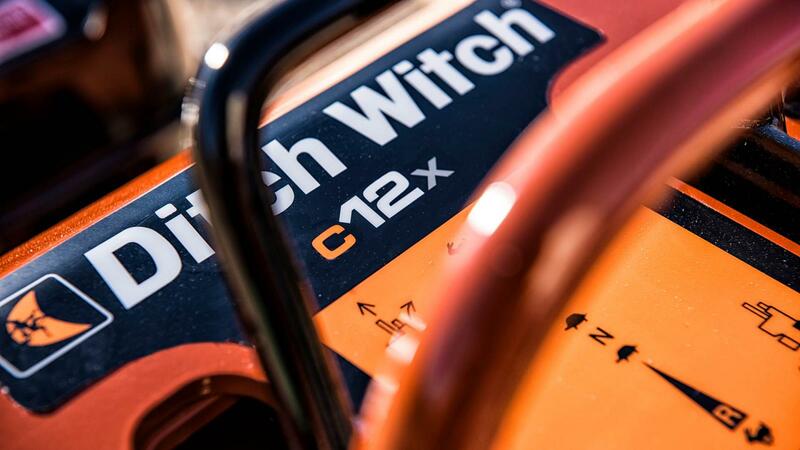 Maximize your performance and return on investment with the Ditch Witch C12X walk-behind trencher. 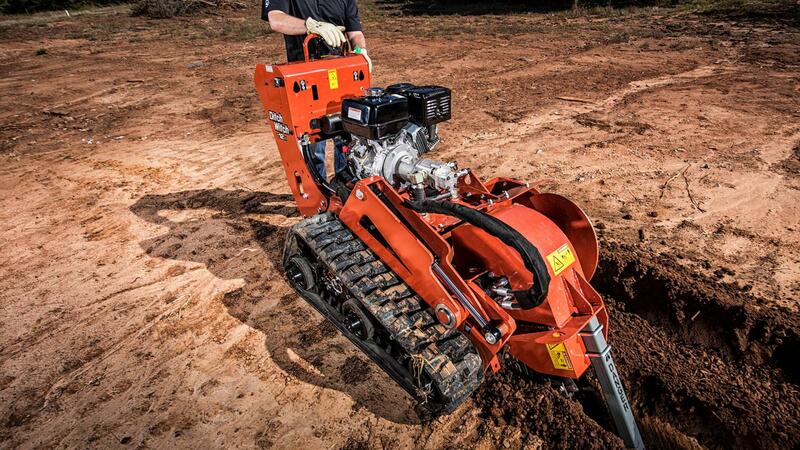 With its 12-hp (8.9-kW) Honda® engine and 24-in trenching depth capability, the C12X delivers more power and efficiency in a compact design for tighter jobsites. 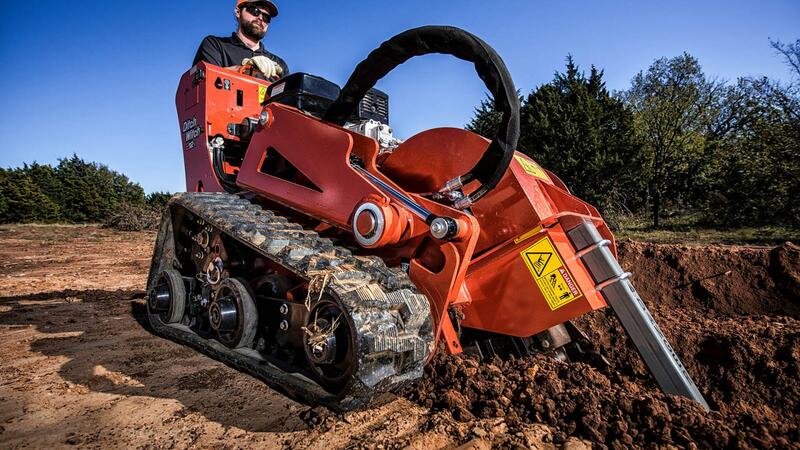 Patented CX tracks offer greater maneuverability and traction, while its simple, open access points and no daily grease zerksーa Ditch Witch exclusiveーprovide no-hassle maintenance to keep you rental-ready. 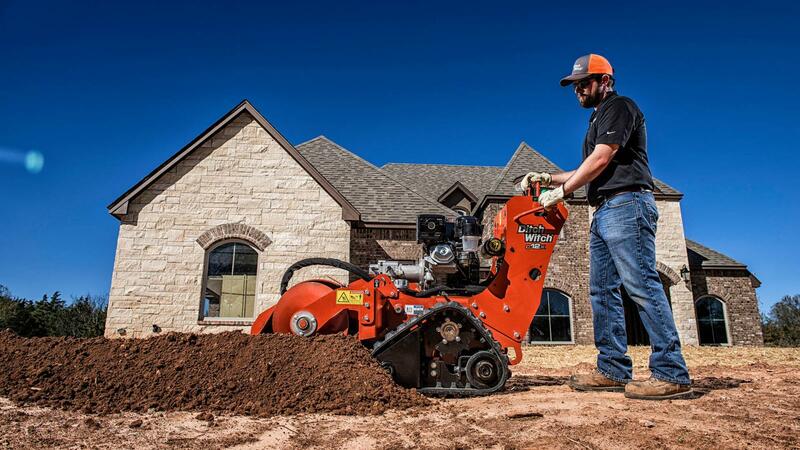 All CX Series units are equipped with hydrostatic, skid steer-style steering for easier operation. 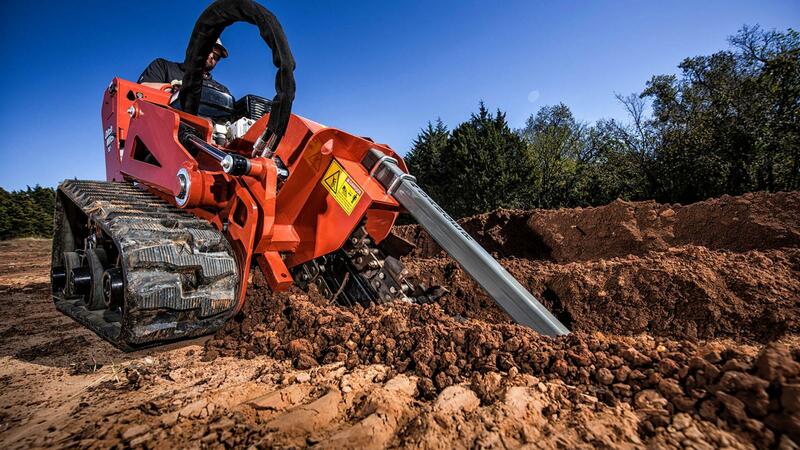 The shorter left track allows for a more compact piece of equipment than competitive designs, offering improved maneuverability in tighter spaces. 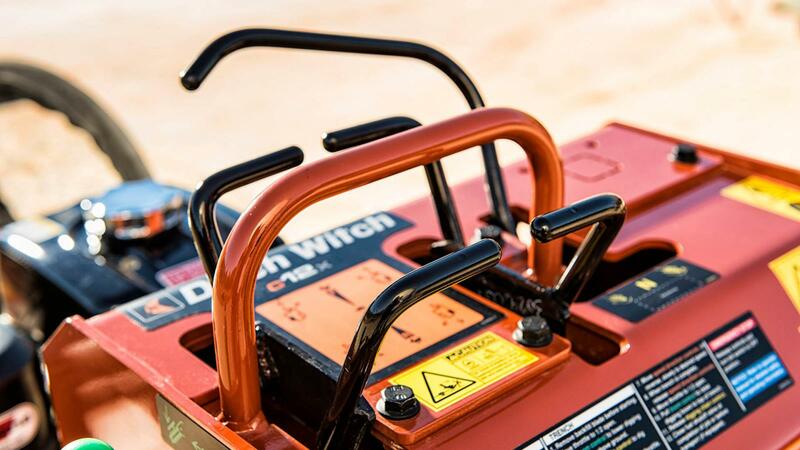 Ditch Witch equipment is backed by 170 dealer locations worldwide, each with genuine Ditch Witch parts in stock, plus factory-trained service and expert advice to help deliver a superior return on investment for your rental equipment. 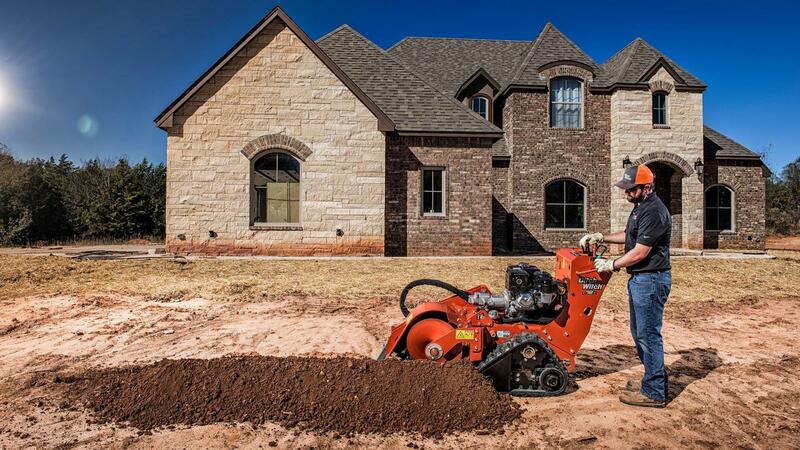 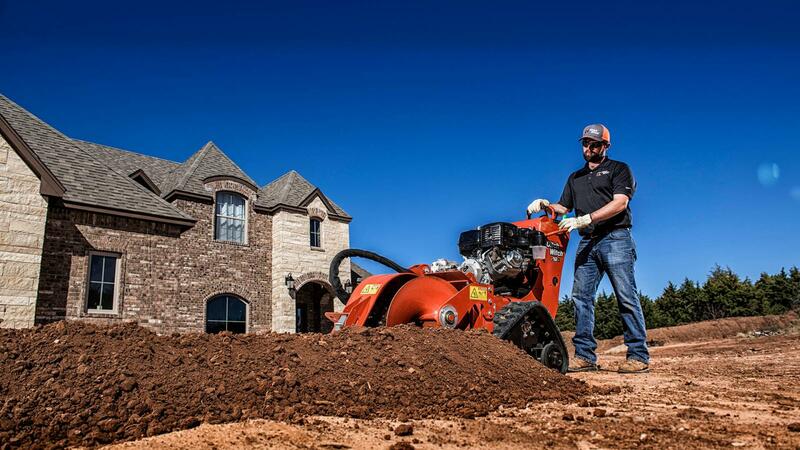 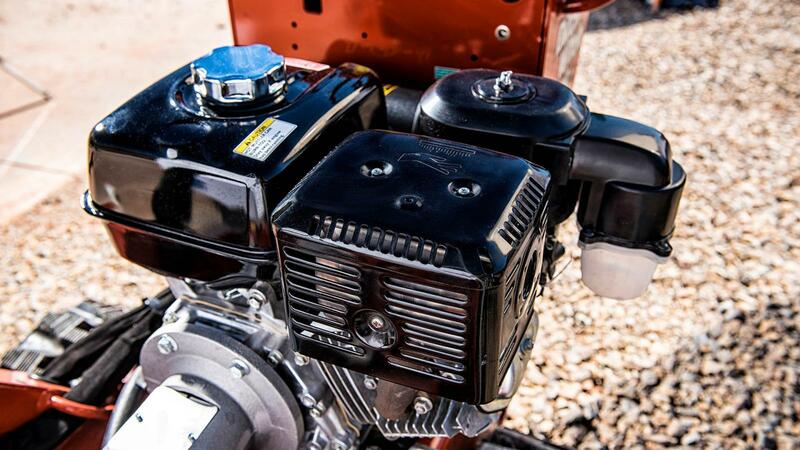 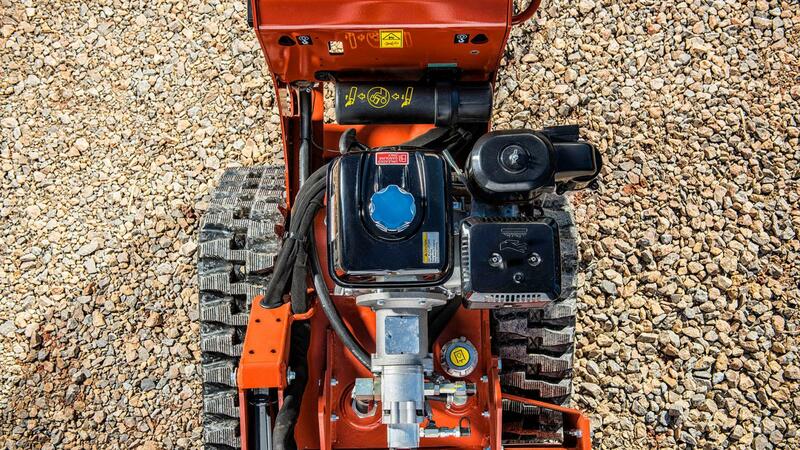 No daily grease points?a Ditch Witch exclusive?means less hassle and prep to keep your trenchers rental ready. 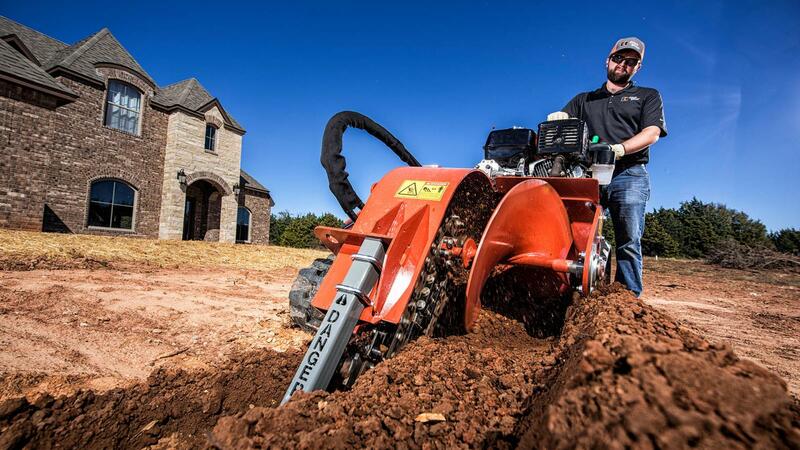 Our easy-to-operate backfill blade is much faster and less expensive than manually backfilling with shovels, increasing productivity and rental revenue. 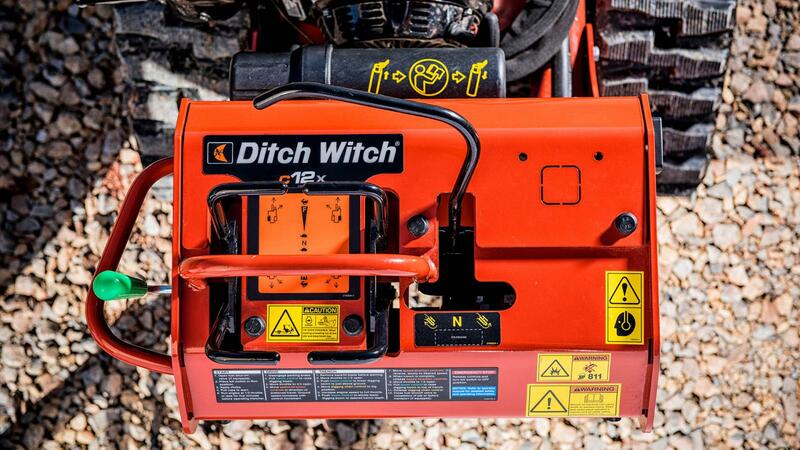 Ditch Witch offers the S2B trailer, a single-axle design with fold-down ramps for easy loading and unloading. 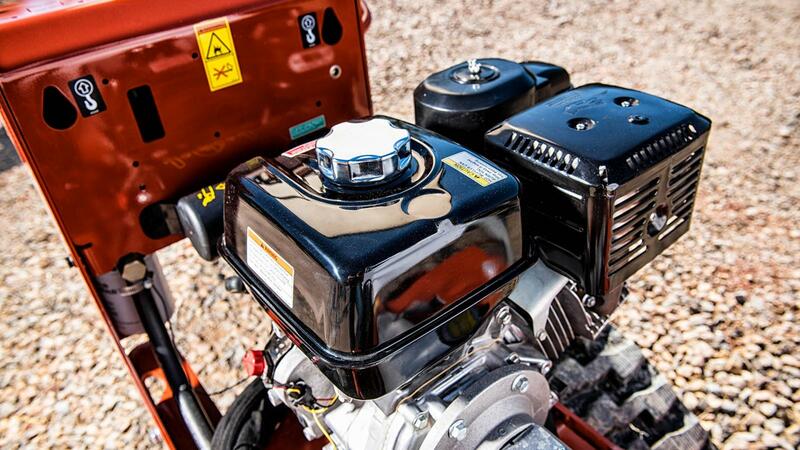 Equipped with a 12-hp (8.9-kW) Honda engine for maximum power in a compact unit. 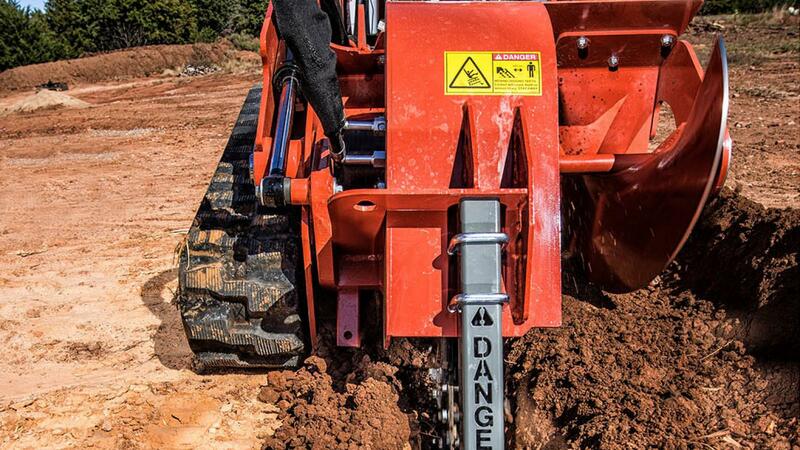 A newly designed hydraulic system eliminates vertical shafts and belts, resulting in a simple, reliable unit with no linkages to adjust. 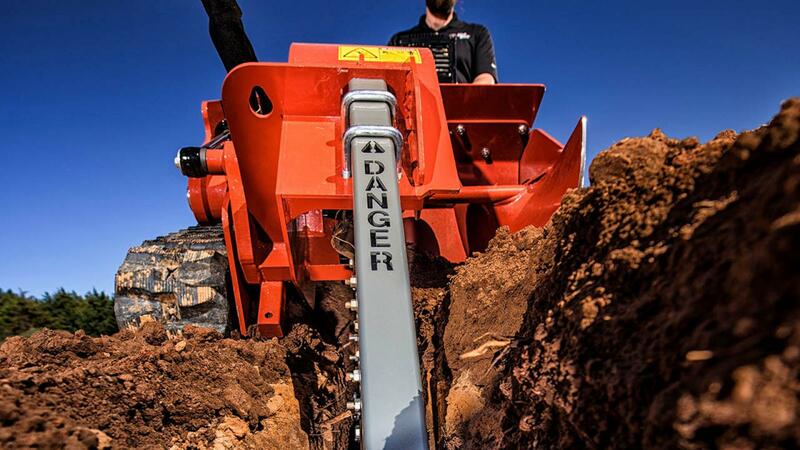 All CX Series walk-behind trenchers utilize the reliable, low-maintenance 35K digging systems specifically designed for Ditch Witch trenchers to optimize production.